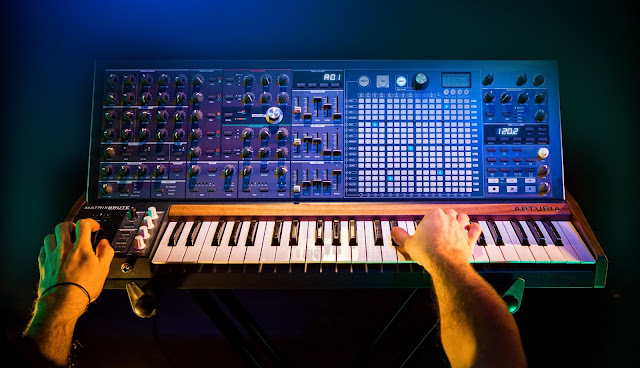 I can hardly believe that I'm typing this, but Moog Music plans to release a new paraphonic polyphonic synthesizer called the Sub 37 Bob Moog Tribute Synth. 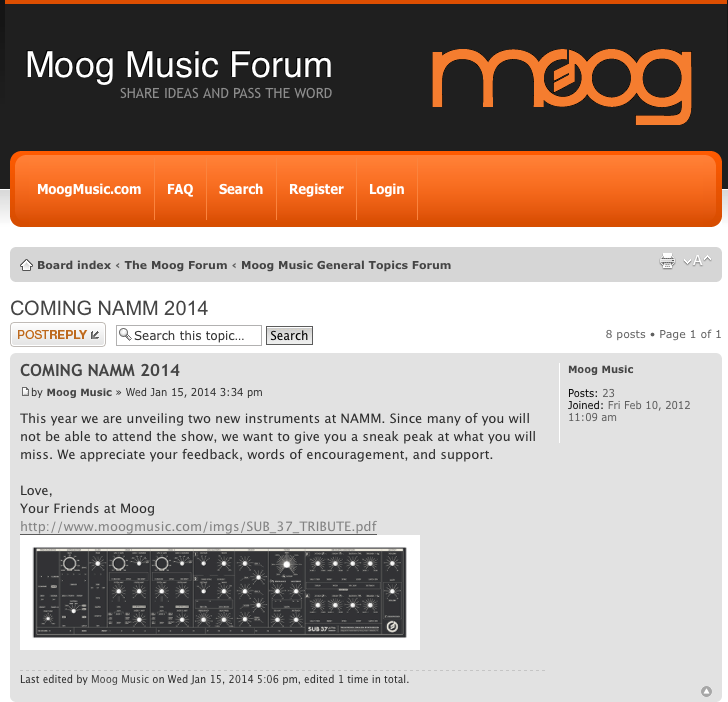 While official word won't be out until NAMM, this screenshot of Moog's post on the official Moog forums pretty much confirms the new beast. The post was made by the official Moog account, and the image was originally hosted on the official site as well. Looks like the dreams of many are finally coming soon. Of course, paraphony isn't "true" polyphony, because the notes of the synth are tied together in one way or another (think of one oscillator that divides down to make all the pitches), and can't be programmed individually. Many polyphonic synths use this technique to lower the cost, like Korg's new Volca Keys. The Polymoog used a paraphonic style of polyphony and is widely considered a classic, so have no fear in the quality of the beast. 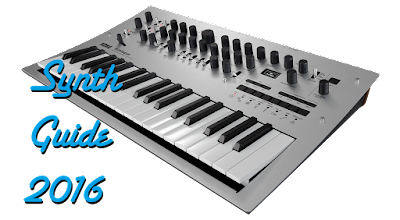 The Sub 37 boasts all the classic Moog controls, so if you're familiar with the Phattys, you should be right at home. NAMM '14 is already off to an awesome start! Update: As per some new information found on MatrixSynth, the new Moog synth will be 2 notes polyphony. Read more here.